so they bought him a very big trumpet. Remember the Maiden All Forlorn? Who kissed the cow with the crumpled horn? Ever wonder what was her problem? Was it the Man All Tattered and Torn? to the advances of the passerby? for a mere milkmaid with a pretty face. who scoff and sneer…just another statistic! while they scramble to jump ship. Build a wall…keep ’em out in the first place. that they have no say over their bodies or lives. as long as it insults and slanders the President. Were they not paying attention during the Cold War? of the Party Line by even the most promising! Bad Words uttered to impress and shock admirers. as his role-model for dirty talk about women. would support the Devil himself for political gain. Well, one thing I’ll grudgingly give Donald Trump is that when he says “many say” he actually isn’t exaggerating===every word he says is diligently (and selectively) repeated on the television, in newspapers…on-line magazines, even Facebook. Since he never takes credit (responsibility) for what he says no matter how many times the video footage is repeated. One wonders…[uh, as for the use of “One” in place of saying something more direct such as “I wonder”, “the Generals wonder,” “Hillary Clinton wonders,” or the generic “some of us wonder”, “women wonder” …. the word “One” in the context of “all of us” or “we” conveys the message without specifics.] Any way, One wonders if anyone hears what The Donald is really saying? late Middle English (in the sense ‘violent strife’): from Old French, or from Latin seditio(n-), from sed- ‘apart’ + itio(n-) ‘going’ (from the verb ire). Apart from the furor over the WikiLeaks release of hacked Democratic National Committee emails is a much bigger, more troubling, question: Exactly why were the Russians doing covert electronic snooping against the American liberal party, anyway? We might begin with the fact that Russian president Vladimir Putin hates Hillary Clinton, probably because of her toughness as Secretary of State in opposition to his aggression. My first reaction was to wonder why “Pocahontas” would be taken as an insult and derogatory slur. Pocahontas is and was one of most loved and respected…and most celebrated…of our female national hero(ines.) Back in the day she defied her Father—a brave thing indeed for a Native Princess to do! The above wikipedia article is very good…covers all aspects of the case, and of course helps to both promote AND attack the legendary information. Pocahontas was the wife of an English settler at Jamestown, John Rolfe. Her father was the Algonquin Chief Powhatan. 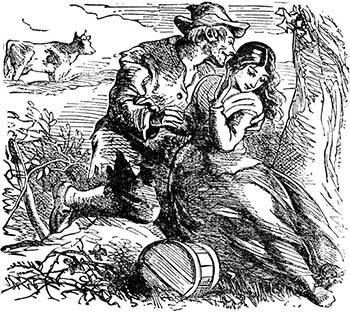 The way the story goes: English Captain John Smith was about to be executed by beheading, when the lovely Pocahontas threw herself upon him in order that if a head rolled—it would be hers. She later chose the English over her tribe…and became very famous. Here’s a couple of clips from Google. Yes, that’s her in the red cape and white hat…boy, I’ll bet she wished she was back in that buckskin! Hmmm… of course there aren’t photos of the “real” Pocahontas because it was back in the 17th Century. 🙂 There are movies, and books, including Little Golden Books around. The drawing is a Disney cartoon; the portrait by an English artist long after her move to England. HI… I originally wrote this ditty for a WordPress class last year. It is re-blogged here because I think it is still very pertinent to current events. With apologies to my readers that have read this bit before. no matter what I say. deeper they dig in the mud–or muck. As the saying goes: you can’t Con a Con! What are the other R’s thinking? Who cares if Ted’s a Canuck? or at least make something up. no one believes you any way. I never have had trouble killing time, as they say, although many times “found” time is a bonus for me. This is because it is usually time spent in a waiting room somewhere, an airport, in-between classes…wherever there is nothing to do but sit. Watching people is great fun, and that is one of the perks about waiting rooms, there are always people waiting too, or workers performing interesting tasks. If the readership here was not made up almost exclusively of other Writers, I wouldn’t dream of revealing publically that I just spent two hours sitting alone in a waiting room, writing in a tiny notebook as fast as my fingers would scribble–about a fish tank. A giant fish tank, really well appointed with lovely fish of all persuasions, and of all things amazing…the feature is a giant navy submarine, sunken in the center of the scene at the ocean floor, its side all burst out and a big part of it ripped from the hull. The ill-fated vessel has no identification, such as a national flag, or other information, but…well I know a navy submarine when I see one, even if it is at the bottom of a fish tank. Yes, I did write a poem about it, plus a rambling but astute dissertation about fish and fish tanks politics. I will publish that soon. There is a photo, too! While hanging around my little notebook also recorded an observation about Donald Trump and the Great Saga of the Two Debates. Oh, and some notes about the value of knowing languages other than one’s own…and my friend from Korea with whom I conversed for weeks with no mutual language. Donald Trump is going… where? This rhyme was originally published on Sometimes in October 2015, and I decided to re-post it again now with a new title. The original title was: Who You Calling Imperfect? That post was written in response to an assignment in the Writing 101-Poetry class, which is alo repeating at this time. Some of the most interesting fans, or supporters, or spectators–whatever you call them–are the people sitting in the stands directly behind the speaker’s podium at televised speeches. Ms. Idusuyi accepted when the VIP rule was lifted, and she and her friends were ushered to the middle of the row of seats, right behind The Donald. How fortuitous was that! Anyway, she sat and read a book throughout the speech, much to the dismay of “older” people in the crowd that hassled her about being rude…telling her she should leave if she didn’t like what was going on and being said. She wisely pointed out that it would be even more rude to stand up and leave. I love watching these crowds. The VIPs are obviously either “Very Important Local Republicans,” or staffers that are required to fill in the rows. The reason I say that is because many of the people are obviously not paying attention. They are whispering to their neighbors, looking at the ceiling, and apparently either ignoring, or otherwise not engaging with what is being said. To be fair, it isn’t uncommon to see crowds at VIP speeches whose eyes are glazed-over, yawning, clapping gratituously–even when the spectators are members of the military, university students, Congress–I might call these “Mandated Crowds.” These are often show-up-and-try-to-stay-awake appearances. Professors sometimes give class credit for showing up at these occasions, or there are consequences for NOT showing up. The crowd should be reacting…laughing, nodding their heads, shaking their heads, cheering, jeering… showing signs of being awake. In my opinion, just watching the people in these crowds is entertaining. This is one of my personal favorite assignments from writing class last year…in response to rules that the work be a limerick and contain certain other attributes of writing poetry. I had great fun writing it—and I think it is very pertinent at this particular time, less than a week away from the Election for President of the United States. I have reposted this before, and I have changed the original title previously as well.